1. Health care isn't so healthy: The fates of two giant health care mergers are suddenly in question. 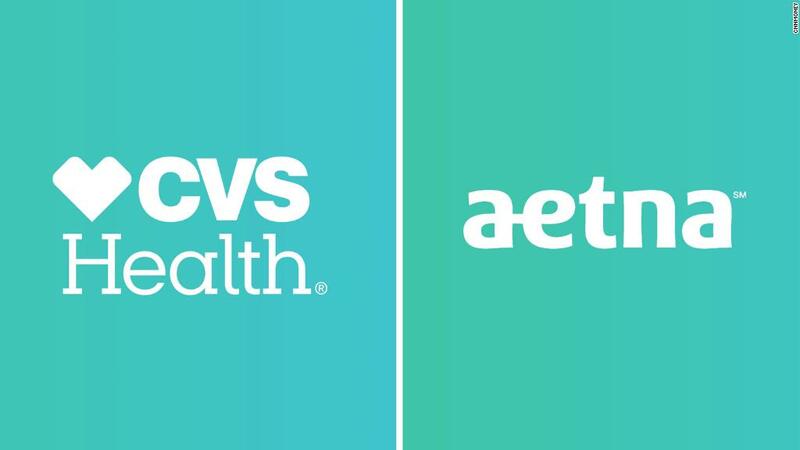 Drug store chain CVS wants to buy insurer Aetna (AET), but the California Insurance Commissioner wants the Justice Department to block the $69 billion deal, citing concerns that prices will go up and competition will decrease. Another insurer, Cigna, hopes to buy pharmacy benefits manger Express Scripts (ESRX) for $67 billion. However, there were reports last week that activist investor Carl Icahn has taken a stake in Cigna, with the hopes of convincing shareholders to vote against the Express Scripts merger on August 24. Cigna (CI) and Aetna both reported solid earnings last week — and CVS is due to release its latest results on Wednesday morning. Investors will be eager to hear if CVS has any comment about the California Insurance Commissioner's claims. CVS and Aetna shareholders have already approved the deal. But two mega insurer mergers were blocked by federal judges early last year on antitrust grounds. Aetna had hoped to combine with Humana (HUM) while Cigna was planning to merge with Anthem. Amazon is creating a health care company along with JPMorgan Chase and Warren Buffett's Berkshire Hathaway. Amazon — who else? — also announced in June that it is buying online pharmacy PillPack, which already has pharmacy licenses in all 50 states. Shares of CVS and its rival Walgreens (WBA) both plunged the day of the PillPack acquisition. 2. Media madness: Disney and most of 21st Century Fox are combining. So how strong will the new company be? Disney will report earnings on Tuesday. "Solo" was a disappointment, and the company could face questions about its future plans for the "Star Wars" franchise. But "Incredibles 2" and "Avengers" were huge blockbusters in the spring. Fox, which reports on Wednesday, could discuss its plans for live television, sports and news programming that will dominate the remainder of 21st Century Fox after Disney buys pretty much everything but Fox News, Fox broadcast network and FS1. And Viacom will report on Thursday. CEO Bob Bakish is majority owner Shari Redstone's pick to eventually lead a combined CBS-Viacom, a proposed merger that CBS is fighting in court. Following sexual harassment allegations against CBS CEO Les Moonves, Bakish's comments will be closely scrutinized. 3. Inflation watch: Prices are rising, gasoline remains stubbornly expensive and commodity prices are going up. Inflation's kind of a thing again. We'll get a better sense of how much prices are rising this week when the Labor Department reports its Producer Price Index on Thursday and its Consumer Price Index on Friday. The Federal Reserve looks at inflation when it considers whether to boost interest rates. As inflation has picked up in recent months, the Fed has gained more slack to keep raising rates. Though inflation isn't high by any stretch, it's close to even with the raises most Americans are getting, wiping out any potential wage growth. The Labor Department reported Friday that workers' paychecks grew just 2.7% compared to the same time last year. 4. Baby, you can drive my car: Uber hasn't destroyed the rental car industry. Not yet, anyway. Hertz will report its quarterly finances on Monday, and Avis Budget Group will report on Tuesday. Both companies are trying to redefine themselves with partnerships and deals as ride-sharing companies take away mind share and market share of the transportation business. Will they be able to act quickly enough to impress investors? This week will serve as a big test. 5. Iran sanctions: On August 6, the United States will once again sanction Iranian purchases of dollars and metals, including gold. It will also prevent Americans from buying the Iranian currency (the rial), the country's debt and some Iranian goods. The sanctions are part of the Trump administrations' decision to wind-down America's involvement in the multi-nation agreement aimed in part at preventing Iranian development of nuclear weapons. More sanctions, mostly involving energy and shipping, will take effect November 4. Iranians have been hoarding gold in the run-up to sanctions, according to the World Gold Council.